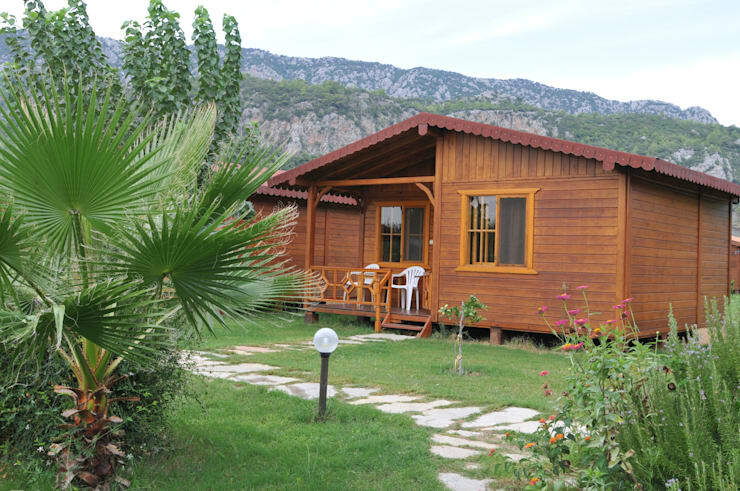 Today on homify we’re headed to the vibrant and colourful countryside in Turkey to check out a timber holiday home that is sure to impress and delight. Characterful, cosy and full of personality, this dwelling is ideal for those who need a little inspiration to build their own stylish vacation abode. Single storey, with a traditional façade and a pitched roof, the home also includes a small porch with an area to sit and watch the world go by. Would you like to take a peek inside? 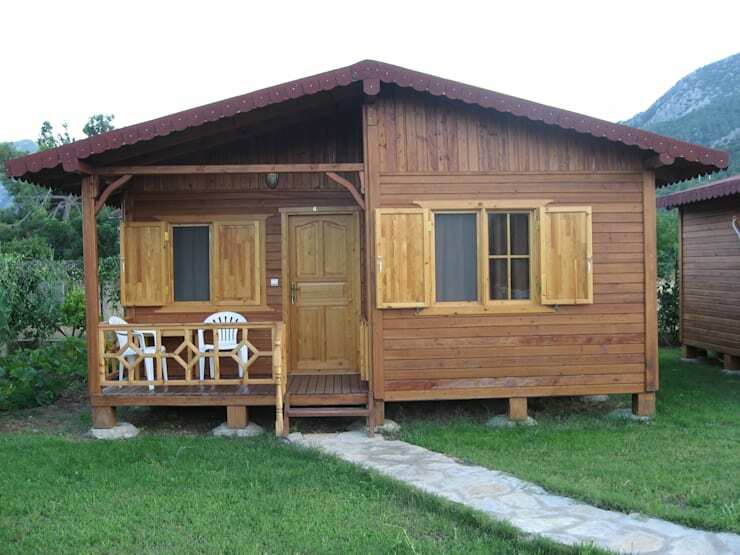 This log cabin is definitely a perfect summer abode for your family and friends. Check out the interior below! Modest, humble and cosy are our first impressions of this interesting and alluring holiday cottage. Are you considering building your own little escape in the countryside? 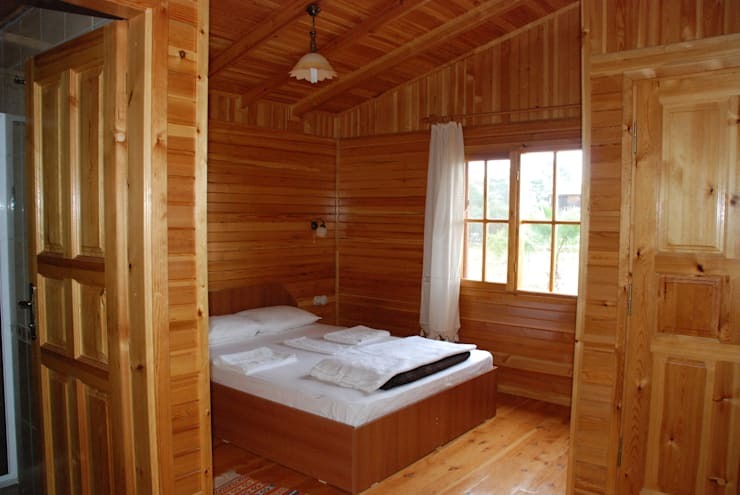 If you are, then you’re going to want to take a look at inside this characterful cabin. 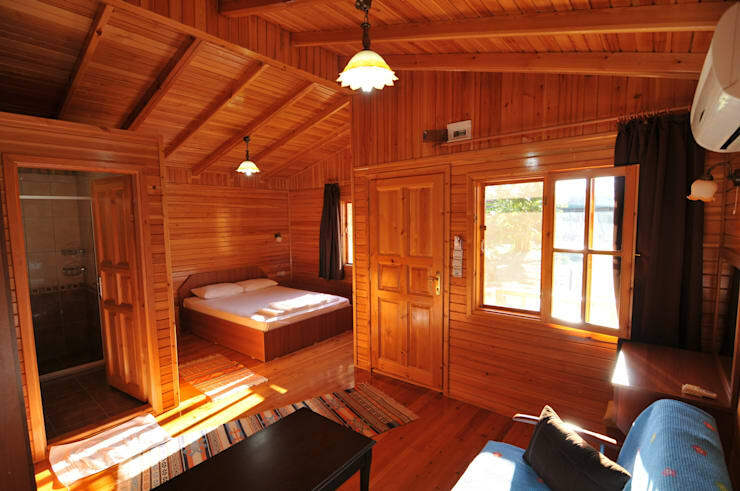 Timber houses are a time-honoured and treasured structure throughout the world. Wood is undeniably versatile when it comes to climatic variation, and for this reason it’s perfect for both the tropical regions of the world (such as Hong Kong), as well as artic regions further north. Breathable, long-lasting and stylish, timber homes are more than simply a place to reside, they’re a statement in sustainability, working with the landscape rather than against it. The adorable front porch space is the ideal spot to take in a cool afternoon breeze, while sipping a mimosa with some close friends or family. Equipped to respond to the needs of its occupants, this timber bungalow is perfect as a summer getaway, while offering a low-cost alternative to prefabricated concrete or industrial materials. The bedroom is the first space we take a look at, and we’re actually quite surprised with the spacious quality and openness of the interior. 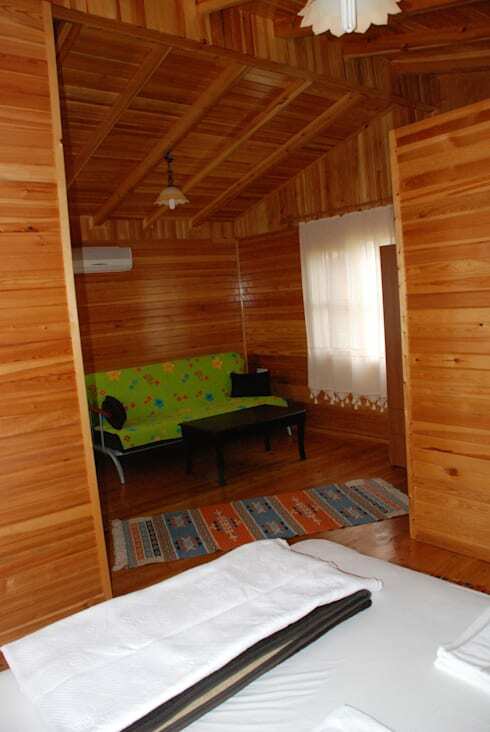 The timber walls are completely clad in timber, adding that typical cabin charm we’re accustomed to. Fabricated in a relatively short period of time, this timber bungalow would definitely suit an owner-builder, or someone looking to spend more time enjoying their new property than constructing it. Stepping back slightly we can actually see that this cabin is a one-room home, with a large opening offering easy access to the timber-clad bedroom. In fact, the entire interior is clad in timber, adding rustic character and some serious charisma to the overall aesthetic. The gabled roof is translated within the property, opening up the interior spaces, and ensuring a fresh, airy room with a higher than average ceiling. Natural materials are employed throughout this dwelling, but are particularly visible within the bedroom. 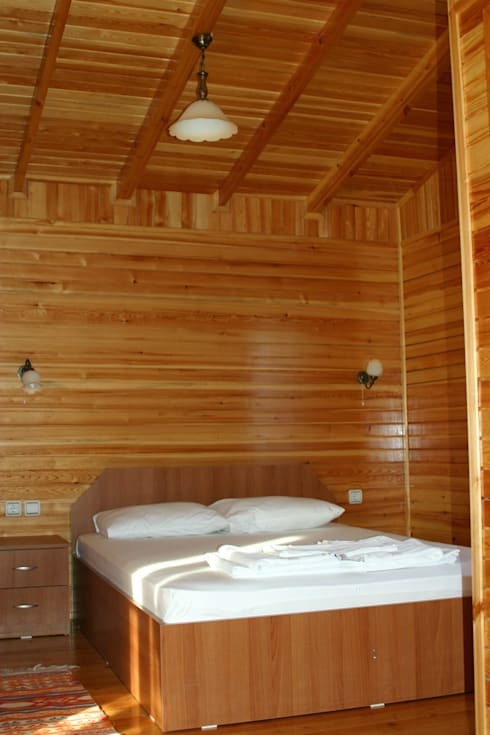 Timber and bamboo are utilised for flooring, ceiling walls and furniture. This might otherwise feel overwhelming, but in this instance it is unique and alluring. Boasting everything one might need (including an air-conditioner!) we now take a peek at the small living room. With a brightly coloured sofa bed, this area is large enough to host another couple of occupants, boosting the home’s practicality. As it is a summer home there is no real need to include a separate living space as most time is spend outdoors; this room consequently functions more like a guest bedroom. Last up, we check out the bathroom. 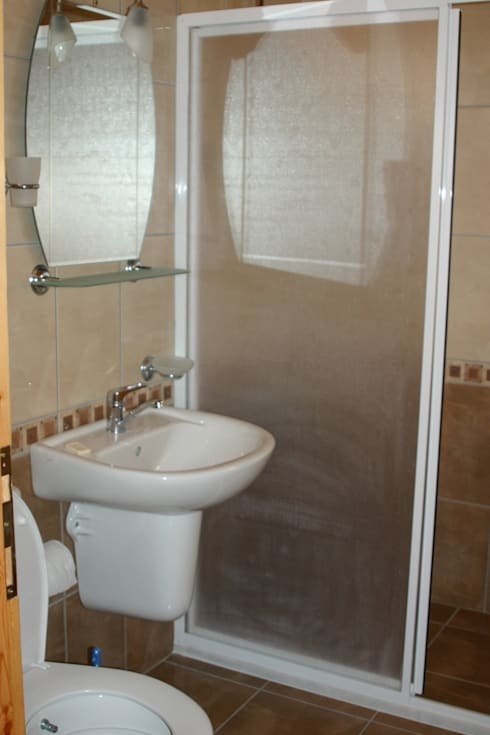 Practical, with all the requisite essentials, the designers of this room have included a rather large shower space, basin and toilet; all the necessary amenities for a comfy and enjoyable stay! Where is your next holiday destination? Add your comments below!